Last week Italian’s government agrees to bail-out (again) Banca Popolare di Vicenza and Veneto Banca with €17 billion. Another case of bank collapse in the EU, and so on and so forth, bailout funds to support to European troubled lenders already account for more than €2 trillion since 2008. Funds financed by ECB’s QE bonds purchasing program and a zero-interest policy, penalizing responsible savers, encouraging asset bubbles, and mortgaging the economy and the prosperity of its citizens. A few weeks ago, we reported how creditors and shareholders were obliged to bail-in Spanish Banco Popular. Where, through the European Union Single Resolution Mechanism (SRM), Banco Santander acquired the bank for just €1. These are examples of how fragile and unsafe are banking systems in most western countries. If you deposit all your money in a financially irresponsible bank backed by a bankrupt government, you are taking an unnecessary risk. 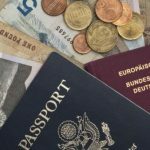 We have talked on how important is diversifying your hard-earned savings abroad in a sound banking system to ensure that whatever happens, your money is safe and available at all times. This is why, we have compiled some useful measures, explained in layman terms, to evaluate the safety and soundness of a bank, and an assessment of some of the safest offshore banks worldwide. Firstly, we must take a look to the jurisdiction where the bank is located. A politically stable jurisdiction and financially responsible government with zero net debt and sufficient reserves so that whatever the economic turmoil or financial collapse happens, the government is in a strong position to ensure the stability of the financial system. An insolvent government cannot back the banking system. In a banking crisis case, a heavily indebted government may not be able to raise more debt to bail out the banking system, see Cyprus, and if it does, it will magnify the debt bubble in which it is submerged and mortgage the future of its citizens, see Greece. And how will the government pay this debt? Establishing capital controls, setting new tax figures and raising the tax burden on its taxpayers, and if this is not enough, enforcing asset seizure and forfeiture policies. A well-managed government has enough resources to guarantee that the system will not default without strangling its citizens. 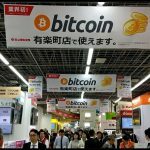 You also want to deposit your money in a jurisdiction, where their central banks are well capitalized to support the system, demand high levels of solvency and liquidity to financial institutions, and exercise strict control and supervision in the fulfillment of the minimum requirements established. When we deposit money into a bank, we become de facto creditors, as the bank borrows our money to invest it and make profits. This is why we must be selective. Our bank must be responsible, conservative and prudent. Our bank must engage in low-risk lending and investment policies. Maintain a considerable volume of liquid assets to respond to its customer’s withdrawals demands without delays, and that is solvent, with the proper capital reserve to ensure that is able to face a possible assets devaluation and losses during a crisis. A bank must also be profitable. An unprofitable bank will deteriorate its accounts to the point of being unfeasible, and sooner or later will put its depositors and shareholders at risk. To assess a bank, we must look at its financial statements. Financial institutions are obliged to publish their annual accounts, so usually, you will find them somewhere on their website. Normally they publish monthly balance sheets, and quarterly and annual financial statements duly audited by public accountants. A safe bank must have enough cash and liquid assets to cope with an emergency period of extraordinary withdrawals without delays. A high level of liquidity indicates that the bank will be able to cope with greater guarantees to an alleged case of massive withdrawal of deposits due to a financial crisis or some extraordinary event. In addition, a safe bank should have a surplus of liquidity to meet its operating expenses. We may assess bank’s liquidity, primarily calculating its cash reserve maintained in the Central Bank to deposits. This tells us the amount of cash the bank keeps for each dollar of its customer’s deposits. At least, a bank must keep 8-10 dollars for every 100 dollars in customer’s deposits. This is a ratio of 8-10%. For instance, Spanish Banco Popular in its 2016’s annual report, had a primary liquidity ratio of 2.9%. 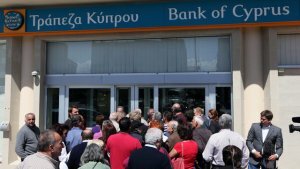 In an emergency situation, the bank becomes quickly not able to face its withdrawal demand, causing more panic and worsening its already precarious situation. If a bank does not hold a high-volume of cash from its customer’s deposits, at least should have a considerable part of its investment portfolio in highly liquid assets, which may be sold quickly in an emergency event, with ease and without major fluctuations in price. These liquid assets should act as a guarantee to the Central Bank. We may assess it with the secondary liquidity ratio, by adding the cash plus liquid assets, such as short-term maturity bonds, and assets available for sale, divided by the bank’s deposits liabilities. A safe bank should have a secondary liquidity ratio of at least 15%-20%. Bailed-in Banco Popular had failed here too, its secondary liquidity ratio was below 5%. In addition, a prudent bank should have low levels of external leverage. We measure this, dividing its customer deposits by its total liabilities, which should be at least 70%. For instance, Banco popular’s customer deposits accounted by 50% of its total liabilities. 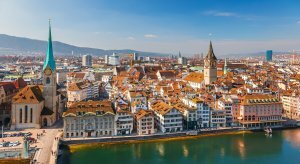 The Basel Committee on Banking supervision set of a regulatory framework for banks, called “Basel III” to strengthen the regulation, supervision and risk management of the banking sector. Basel III included a new liquidity measure, the Liquidity coverage ratio (LCR). A coefficient that evaluates the volume of highly liquid assets of financial institutions to meet short-term obligations. It is calculated by dividing the bank’s high-quality liquid assets by its total net outflows of anticipated cash during a stress period of 30 days. For example, if the bank’s quality liquid assets are $150 and the anticipated net cash outflows is $ 100, the LCR is 150%, so the bank is in a favorable position to face 30 days of an emerging extraordinary withdrawal demand. No need to say that at least a bank should have an LCR of 100%. This part may be misleading, are really those assets categorized as liquid and held for sale easy to sell and non-volatile? It has been proven how some western banks have manipulated its assets valuation to reach the minimum liquid coverage ratio requirements. Supervisory bodies and auditors should exercise strict control to avoid malpractices. Another measure to assess the liquidity and the risk assumed by a bank is the loan to deposit ratio. A high ratio indicates that the bank has had to borrow excessively to grant loans and may lack the liquidity to cover any unforeseen circumstances that require funding, in addition, to be more exposed to loan defaults. Loans are the most profitable asset, the higher the quality, the better. A conservative and prudent bank, does not take exaggerated risks when lending and investing your money. Ideally, a bank should have a loan-to-deposit ratio below 90% and have high-quality loan portfolio to ensure their feasibility and profitability. A safe bank has low levels of non-performing loans, borrowed money over which the debtor has not made their scheduled payments for at least 90 days. Ideally, the non-performing loans should be less than 1% of its total gross loans. For instance, during the Cypriot banking crisis in 2013, on average banks had a frightening 17% non-performing loans. We all saw what happened later, depositors had to bail-in banks. For its part, Banco Popular’s had a 16% NPL ratio, we all saw what finally happened, shareholders and creditors had to bail-in the bank. We may assess banking credit quality with the other two indicators: the proportion of impaired loans, in relation to the total portfolio, and the ratio of loan-loss reserves to impaired loans. Which should be in a maximum range of 5-7%, and above 30%, respectively. A solid bank has sufficient equity and capital reserves to face an alleged devaluation of its assets in the event of a financial crisis, without becoming insolvent. Capital should be enough to absorb unexpected asset losses. We measure the financial health of a bank through its solvency ratio, that is to say, its capital adequacy according to its volume of assets. Basel III formulated three ratios to calculate a bank’s capital adequacy: Common Equity Tier 1 (CET1) ratio, Tier 1 Capital ratio and Total Capital ratio. The common equity tier 1 comprises the bank’s maximum quality core capital, including common equity shares, stock surpluses resulting from the issue of common shares, retained earnings, common shares issued by subsidiaries and held by third parties, and accumulated other comprehensive income (AOCI). Tier 1 capital includes CET1 capital and other instruments that are not common equity but are eligible to be included. These solvency ratios are calculated weighting the assets according to its credit and market risk (RWA). For instance, a government bond can be characterized as a risk-free asset and is assigned a zero percent risk weight. On the other hand, a subprime mortgage can be classified as a high-risk asset and weighed 65%. A solid safe bank should have a CET1 to risk-weighted assets (RWA) ratio of 15%, to ensure that its solvency is not jeopardized in case of asset devaluation or losses. If a Bank has low levels of liquidity, at least should be well-capitalized and solvent. Banco Popular reached 8.19% CET1 ratio prior its default, consider that 4 months before did a share capital increase, clearly not enough. In addition to high levels of liquidity, prudent lending policies and soundness, a safe bank are efficient, cost-effective and profitable. A safe bank engages an effective management of human, financial and technical resources, generate economic results in a satisfactory and balanced manner, preserving and adequately rewarding depositors and shareholders with attractive returns. To assess the profitability of a bank, we first look at its percentage of assets that generate income, its productive assets. Its cost of borrowing funds from bank customers should be lower than the value of interest earned by loaning it out to other clients or investing it in other financial products, and this profit margin must be in line with its volume of assets. This is called the net interest margin, and we can calculate it dividing its net interest spread (interest income – interest expenses) by its asset base. A profitable bank should have a net financial margin of at least 1%. Financial profits usually cover a large part of operating expenses. Banks with more prudent lending policies cover a large portion of operating expenses through fees and commissions. The idea is to find the balance, which allows the bank to make profits at the same time that it is little exposed to credit risk. A profitable bank should have a low cost to income ratio, which proves the efficiency in the management of assets to cover operating expenses. A cost to income ratio below 50% indicates that the bank is efficiently run and profitable. For instance, on average European banks has a cost to income ratio over 60-70%, or 90% in the case of Brazil, meanwhile, Hong Kong and Singaporean banks are under 45%. Finally, an efficient and profitable bank should have a considerably return on assets (ROA), ideally around 1%. And its shareholders must be properly rewarded, measuring it with its return on equity (ROE), at least 5% over inflation, and in any case, it should be lower. These assessment tools are not infallible, as a financial collapse may raze everything, and are limited, as we cannot know what really hide some balance sheet items. But may serve to get an idea of a bank’s face value, and as an orientation and benchmarking tool to move towards a bank that provides us with higher guarantee and security, and is a priori more capable to stand during a financial crisis. As an example, we have selected five of the most politically and economically stable jurisdictions worldwide, with sound banking systems to assess one of its safest banks, considering the measures explained above. Norway is an extremely rich country in natural resources, together with a high tax revenue and a responsible management of its public finances have to lead historically its government to continuous surpluses and a net asset financial position. Its financial assets exceed its liabilities by 280% of its GDP. This is a stunning figure, comparing it to most Western countries. For instance, the German government has a net debt over 45% of its GDP and Italy over 113%. Its financial system is composed of 172 banks, of which 103 are savings banks, 25 commercial banks, 42 branches of foreign banks and the Central Bank of Norway, Norges. The largest bank is the Den Norske Bank (DNB), of which the Government holds 34% of its shares. All banks are considerably solvent. For instance, we have assessed DNB. Its annual report for 2016 shows a common equity tier 1 ratio (CET1) of 17.6% and a total capital ratio of 21.4%. Furthermore, DNB is a state-owned bank and the government is in a proper financial position to back the bank in case of asset losses. In terms of liquidity, Norwegian banks get good grades. For instance, DNB’s 2016 annual financial statements show a cash to deposit ratio of 22.7%. If we consider its assets held for sale the liquidity ratio increases to 27%. Its liquidity coverage ratio stands at 138%, surpassing by far the minimum liquidity required. This tells us that the bank has enough cash reserves and liquid assets to face an extraordinary customers deposits withdrawal, in addition to back its high external leverage, as its deposits to total liabilities ratio is just 50%. Its loan to deposit ratio is quite high, about 161%, customer deposits account for about half of funding with short-and-long-term debt accounting for another 8% and 32%, respectively. But non-performing and doubtful loans remain low at 1.5% of net loans, its impaired loans to gross loans is acceptable at 2.1% and its loan-loss reserves to impaired loans ratio remain higher than 41%. This reflects that despite having a high volume loan portfolio quality is acceptable and the bank has reserves to cope with possible defaults. Regarding its business performance, net financial revenues represent more than 65% of its total revenues with a financial margin of 1.4%, which is quite adjusted. Fees and commissions represent almost 20% of its income and trading income another 6.4%. Its return on assets is at 0.6% and the return on equity at 11.2%, which is considered positive. Norwegian government also guarantees up to NOK 2,000,000 for each deposit, currently about $ 240,000. No need to say that it is in a proper financial position to face a hypothetical deposit bailout. In short, Norway is a safe place to deposit part of your hard-earned saving. In addition, the NOK (Norwegian Krona), is at 10-year historic low, so NOK may appreciate in the future with the possibility to bring handsome exchange returns. You may open a savings account in DNB if you are a citizen of U.S.A., Canada, Iceland, Japan, Switzerland, New Zealand, Singapore or the European Union. The minimum deposit is the equivalent of EUR 100,000 in Norwegian Kroner. You may apply for the account remotely, and you will be required to provide a certified copy of your passport, evidence of residential address provided by your bank in your home country, a bank reference letter and evidence of the source of funds. According to current Norwegian legislation, all bank customers must have a Norwegian national identification number. Banks may apply for the ID number on behalf of its customers. Applications are normally processed by the authorities within six weeks. Interest rates depend on the type of savings account and the amount deposited, but currently ranges from 0.55% to 1.65%. Interests paid to non-residents may be free from withholding taxes. Business transactional accounts are only available to businesses incorporated or regularly trade in the region. So, to open an account you must have a compelling reason and proof your business ties to the country, as well as proof of an impeccable business background. 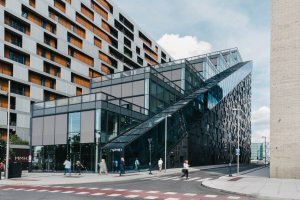 Note that, Norway has started to undertake the OECD’s automatic exchange of information through Common Reporting Standard (CRS) this 2017, and there is an Intergovernmental Agreement (IGA) between Norway and the US, participating in the FATCA since 2014. Luxembourg is a well-known financial hub, especially for its private banking and wealth management industry. The jurisdiction has been a traditionally offshore banking haven, attracting wealthy individuals, due to it’s sophisticated investment and financial services offered, its wide range of international investment funds, its financial stability and tax benefits. The banking sector is specialized in international loans and capital markets activity, financial engineering, structured products, private banking and financial services for wealthy individuals and large and medium-sized businesses. Luxembourg banking sector currently comprises 141 financial services institutions from 28 different countries, mainly from Germany, France and Switzerland, and increasingly from China during recent years. The sector is considerably concentrated, 7 banks comprise about 35% of the sector’s consolidated assets. Led by Deutsche Bank, oriented to wealth management, with a 9.86% market share. Followed by French CACEIS bank, focused on depository and custody, with a 5.68% market share and Banque et Caisse d’Epargne de l’Etat (BCEE), a state-owned bank, with 5.28% asset market share, and the highest on customers deposits. Banque et Caisse d’Epargne de l’Etat (BCEE), is one of the most trusted banks as it is government owned. Its last annual financial report (2016) indicates its adequate solvency with a Common Equity Tier 1 (CET1) ratio of 17.7% and a total capital ratio of 18.3%. The bank seems to be in a good financial position to maintain its solvency even in an economic turmoil. Its cash to deposit ratio is about 10%, even it is lower than other banks assessed in this article, compare it with most European banks, that hold cash reserves below 5% of its customer deposits. In addition, adding its assets ready to sell, its secondary liquidity ratio jumps closer to 45%. Its liquidity coverage ratio, which measures bank’s capacity during a 30-day stress situation is well above the minimum standards, at 138%. The bank has a high capacity to maintain itself in the event of an asset devaluation and liquidity to guarantee an extraordinary withdrawal without delays. In addition, it has a low external leverage level, its deposit to total liabilities ratio is as high as 76%. Analysing its assets, its loans to deposits ratio is quite low, under 70%, and less than 0.3% of net loans were considered non-performing loans, this an extremely low figure reflecting the bank’s prudent lending policies. Regarding its profitability, its cost to income ratio is quite below 50%, strong enough to withstand financial pressure. The bank also has acceptable return rates, its return on equity is 8.6%, meanwhile, its return on assets is 0.7%. The bank is backed by a government with reasonable public finances. Which had budget surpluses during the last 20 years, due to its strong financial industry. Currently, its financial assets surpass its liabilities by over 45% of its GDP. So, given the case of a financial crisis, the government is in a good financial position to overcome unforeseen difficulties. 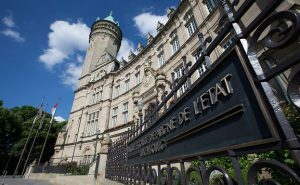 The Government via the Fonds de Garantie des dépôts Luxembourg guarantees deposits up to EUR 100,000 per depositor per financial institution. BCEE welcomes non-residents to open banks accounts. Usually, there are available savings and investment accounts, including multi-currency accounts. Opening an account remotely is not possible and you may have to travel to Luxembourg for it. For Americans, maybe in some cases somewhat tricky to open an account and they may be required to proof the legitimate origin of funds and provide tax returns. The bank requires a valid passport and evidence of residential address, such as a utility bill, other documents such as proof of income and proof of source of funds may be required at the discretion of the bank. Private banking is available to non-residents starting from €100,000 to €500,000. BCEE also opens business current accounts to non-resident companies, provided that they have some business connection to the region and a good-standing business background. Interest rates in savings accounts may vary according to the type of account and currency but are currently lower than 1%. Luxembourg does not levy withholding taxes on interest paid to non-residents. The Principality of Liechtenstein is known for being one of the most reputable financial centers of the world, oriented to asset protection, its foundations, and a strong private banking industry. Liechtenstein banks are ones of the most solid and well-capitalized worldwide. The jurisdiction has been an oasis of financial stability during the last financial crisis. No bank required aid from public institutions. For instance, LGT, owned by the Prince of Liechtenstein Foundation and ruled by Prince Maximilian, has a common equity tier 1 ratio of 22.6%. LGT is also notable for its high liquidity levels and its financial statements for 2016, we extract a cash and equivalent ratio to customers deposits of 37%, and 25% including deposits from other financial institutions. Its liquidity coverage ratio stands out at an impressive 191%. The bank is also low leveraged as its deposits to total liabilities is as high as 84%. The bank also has a prudent lending policy, with 86% loans to deposit ratio, and only granting collateralized loans against of custody accounts and mortgages for residential properties and private assets in Liechtenstein. Its ratio of non-performing loans is as little as 0.3% of its total gross loans amount. In relation to its business performance, in 2016 presented a net financial margin of 0.6% and a return on assets of 0.4%. Discrete numbers, reflecting the entity’s conservative credit policies, since net financial income only covers 10% of its operating expenses, while fees and commissions cover 67.6%. In addition, the government of the principality maintains healthy public finances, with a net asset financial position of 85.7% of its GDP. And although no bank in Liechtenstein required state aid during the financial crisis, the government is in a favorable financial position to face an unlikely collapse. Deposits are insured up to CHF 100,000 per person. Liechtenstein is committed to the OECD’s Automatic Exchange of Information through Common Reporting Standard (CRS) and has an Intergovernmental Agreement (IGA) with the US to participate in the FATCA. Although it is not specialized in transactional banking, LGT Bank welcomes non-residents to open personal and business accounts. Transactional accounts are available in EUR and CHF. You will be required to provide proof of business background, strong reason why you need the account and proof of business or employment ties with the country/region. Savings, deposits and investment accounts are available in USD, EUR and CHF. Usually, accounts are not opened remotely, so you must visit the principality and provide identifying documents and evidence of address, prove that your funds are legit, and depending on the case you will need to provide its corresponding tax returns. The minimum initial deposits and the ongoing balance required may vary, but for non-residents ranges from CHF 100,000 to CHF 1,000,000, depending on the type of account and customer. All accounts come with its corresponding Maestro Debit card, and MasterCard, Visa, Diners Club and American Express credit cards are available upon request if requirements are fulfilled. Accounts withdrawals may be capped at certain amounts, otherwise, a fee may apply, and current interests paid on deposits and savings accounts are quite low, up to 0.5%, following the global economic trend. Interest is free from taxes. LGT Bank is a bank specialized in wealth management, and it is where it stands out. The bank covers a broad portfolio of investment options. The minimum amount normally required is around CHF 1,000,000, although depending on each case this may be significantly lower. The bank is FATCA compliant, but Americans may have it complicated to open bank accounts. In any case, they must prove the legitimate origin of their funds and have paid the corresponding taxes to have a minimum chance to open an account. Singapore is the third world’s major financial center and a top offshore banking destination due to its political and financial stability, its top-notch corporate banking facilities and its broad-range of private banking services, investment funds and insurance. Due to the weight of the financial industry in its economy, about 13.5% of GDP, Singaporean authorities establish strict regulatory requirements and have an important oversight on its compliance to shield one of the economic engines of the country. For instance, OCBC Bank’s 2016 annual report showed a Common Equity Tier 1 ratio of 14.7% and a total capital adequacy ratio of 17.1%. Considerably higher than the 9% CET1 standard ratio required by the Monetary Authority of Singapore (MAS) and 7% of Basel III requirement for 2019. Regarding its liquidity, its cash to customer deposits ratio is 7.29%, including cash equivalents and liquid assets the secondary liquidity ratio jumps to 15.8%. Its LCR ratio, referring to its highly liquid assets held to meet its short-term obligations, is well above 100%, at 145%. The bank is low leveraged for global standards, its deposits to total liabilities ratio is 73%. Regarding its profitability, its cost to income ratio remained low compared to global standards, at 44.6%. Net financial income accounted for 40% of its total income, while fees and commissions accounted up to 28.9%. Its net interest margin to its assets was acceptable at 1.67%. Its profitability on assets and equity is considered positive as it stood at 1.38% and 10%, respectively. In addition to having a conservative solid and liquid banking system, the Singapore government is in a net asset financial position over 50% of its GDP. The Monetary Authority of Singapore, its central bank, has capital reserves that represent 17% of its assets, a solvent position to back the financial system. Singapore concluded an intergovernmental agreement (IGA) with the United States to participate in the FACTA and will conduct its first automatic exchange information for tax purposes on non-resident accounts through OECD’s Common reporting standard (CRS) at 2018. Although not as simple as it was before, non-residents can still open bank accounts in Singapore. To open a savings or deposit account, OCBC usually requires non-residents to provide their passport, proof of residential address such as a utility bill or bank statement and a reference letter from their bank or an introduction by an existing customer. The minimum initial deposit required varies depending on the type of account but ranges from S$1,000 to S$ 5,000. The bank offers multi-currency accounts in most major currencies worldwide. To open an account, you must personally visit the branch office in almost all cases. The interest rates currently applied to vary depending on the type of account but are up to 1-2%. Singapore does not impose withholding taxes on interest paid to non-residents. Transactional corporate accounts are also available for businesses not incorporated in Singapore. However, they will usually require you to prove that you currently have some business relationship in the region. In any case, you may be asked, in addition to the corporate and personal documents, a resume and the business plan, as well as documents proving the aforementioned business relationship. The initial deposit required for business accounts is SGD 30,000. For Americans, things get trickier. Be prepared to provide evidence of the legitimate source of funds, as well as tax returns, to have a chance to open an account. 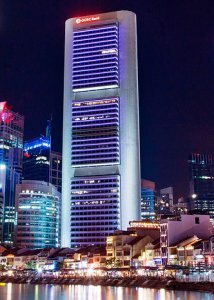 Regarding private banking, OCBC Bank offers wealth management services under the name of Bank of Singapore, which is one of the most prestigious and highly reputed private banks in the world. Hong Kong is one of the largest and most reputed international financial centers in the world. In addition to being home to some of the most solid banks worldwide, it provides one of the best transactional banking services for business. No exchange controls and large availability of multi-currencies accounts, merchant accounts and payment processing services. Hong Kong has one of the highest concentrations of banks, with about 70 of the largest 100 banks worldwide operating within the jurisdiction. Hang Seng Bank, the second largest Hong Kong Bank and mostly owned by the HSBC Group (62.5%), is one of the most solvent and liquid banks of the region. In 2016 its common equity tier 1 ratio was 16.6%, and its total capital adequacy in a ratio of 20.8%. In terms of liquidity, its cash to deposits ratio reached almost 17%, and its Liquid Coverage ratio was 253.6%. An outstanding figure, one of the highest worldwide, reflecting its high liquidity position. Hang Seng has also low external leverage levels, as its deposits to total liabilities ratio is about 71%. Regarding its lending policies, the bank had a loan to deposit ratio of 70%, which is considerably lower for global standards. Loans to its clients accounted for 50% of its total assets. Its credit quality was considerably higher, as it had a non-performing loans ratio as low as 0.46%. Regarding its business performance, the bank is efficiently well-run, as its cost to income ratio was as low as 33.5%, with an acceptable net interest margin to its assets that reached 1.85%. Return on its equity and its assets was 11.4% and 1.2% respectively. Hong Kong’s banking system is backed by a financially responsible government that has spent more than 13 years chaining surpluses that have occasionally reached up to 7% of its GDP. That is why, its net asset position is almost 5x its GDP, one of the highest worldwide. So, in addition to having a sound financial system, this is backed by one of the wealthiest governments worldwide. Deposits are insured by the Hong Kong Deposit Protection Board up to HKD 500,000 per depositor and per bank. The HKD is also one of the safest currency, which is currently undervalued as it is pegged against the USD at an internal fixed rate of HKD 7.80 = USD 1 since 1983. This does not only provide protection and certainty against currency volatility, in an eventually USD freefall due to a US financial collapse, but the Hong Kong Monetary Authority could also let the Hong Kong dollar fluctuate freely or at least revaluing it, ensuring your purchase power. If this happens, the HKD could skyrocket. 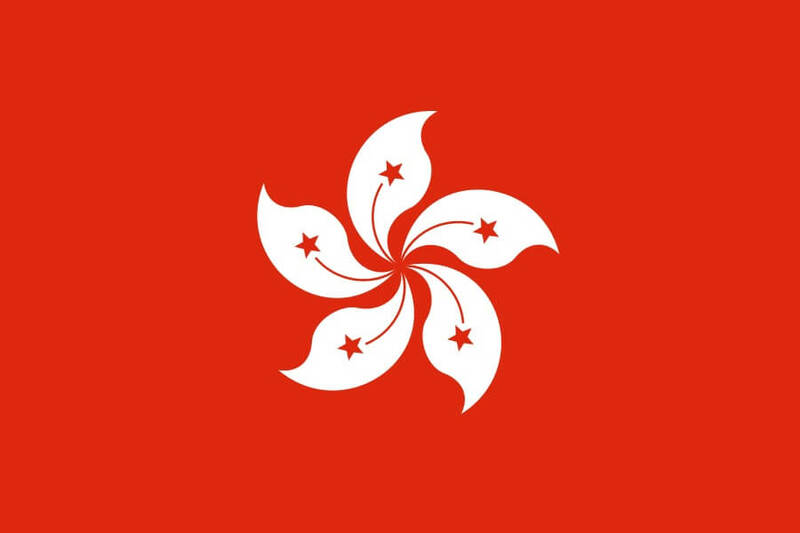 Hong Kong banks are FATCA compliant under an IGA Model 1 concluded between both jurisdictions in 2014. Hong Kong will start its first exchanges of information for tax purposes under OECD’S AEOI framework in 2018. Opening a bank account in Hong Kong has become a difficult task for non-residents, but there are chances. Anti-money laundering laws are very strict and force banks to be very demanding regarding KYC requirements. For instance, Hang Seng may ask you for a proof of a local residential address, proof of bill payments in Hong Kong and an identification document, in addition to a first deposit of at least HDK5,000. 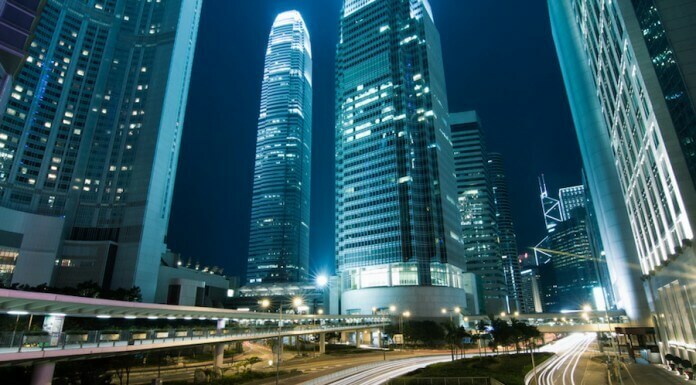 Exceptions on Hong Kong’s residential address may be made, for those who are able to deposit over million Hong Kong dollars, have a good banking background and prove the legitimate source of funds. If you are American, it gets worst. Due to FATCA compliance requirements, US citizens have often considered a headache more than a benefit as bank customers. So, chances to open an account, if you are non-resident and American, are lower. Savings accounts usually come with a UnionPay debit card, although they may provide a most globally accepted card, such as Visa, upon request. 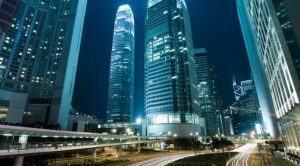 Hong Kong has one of the best business banking services worldwide, but even for Hong Kong companies, they may ask to prove that the entity is currently conducting business within the country or at least within the region to open a corporate account. Currently, interest rates are as low as 0.3% for a HKD 5-year time deposit. For some foreign currency deposits rate may be slightly higher, but in the best case, it does not surpass 1%. Interest income is free from taxes in Hong Kong. Wealth management products in Hong Kong can get you slightly better returns, but require you have a minimum of at least USD 1 million. Do not be at the mercy of fragile, unsafe and poorly managed banking systems and governments that may endanger what has cost you so much to earn. We are currently living in a debt supercycle for sovereign nations, and in the next crash, it may not only be banks but also nation states. This is why you should consider obtaining a second residency or passport to make sure that if things go wrong, you have a place to go and call home. Doing that you may also legally reduce your tax liability. Protect your assets and optimize your business by minimizing taxes through offshore companies and trusts. The first thing bankrupt governments do when a crisis breaks out is to increase their citizen’s tax burden and try to seize as many assets as they can. Protect your savings by depositing them in safe offshore banks with prudent and responsible investment and lending policies, high solvency and liquidity levels, in financially healthy jurisdictions. Make sure that your savings are safe and available for when you need them. Also, consider investing a portion of your savings in precious metals such as gold or platinum, it was, it is, and it will always be a safe investment to ensure your purchasing power, no matter what happens in the world. All of these will not only ensure that, whatever the magnitude of the next financial and economic crash, your interests and your patrimony are protected, it will also lead you to increase your freedom, privacy and wealth. Here at Flag Theory, we are ready to offer you a tailored integral internationalization solution according to your needs and priorities for your specific personal and business situation. Apply for a free 30-minute consultation and start your journey towards more freedom, privacy and wealth.